I don't know about you, but I have a son who is a major fan of the movie Toy Story, so when this cartridge was announced, there was no doubt that I would have to get it. I have many wonderful ideas on how I want to use this cart. This is the first card I have made with it. 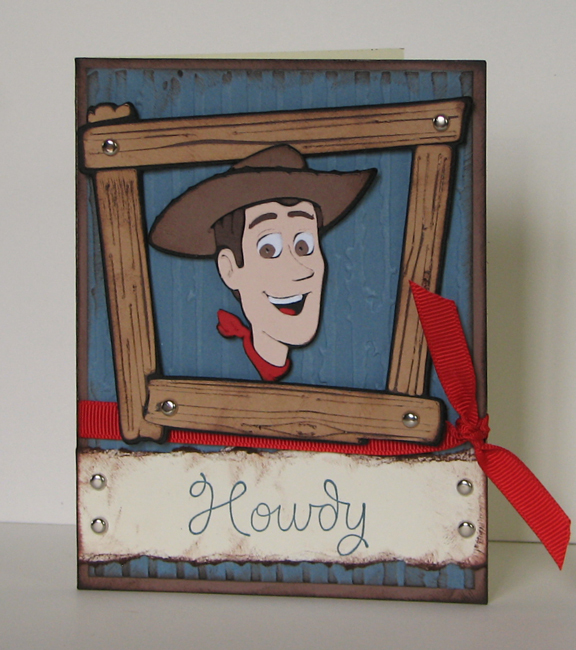 I cut Woody and this fabulous wood frame image from this cart. 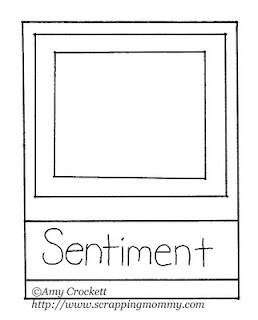 If you use this sketch, I would love to see it.....please post a link in the commnets. Thanks for stopping by!! Just saw this and commented on the Scrapbookpal site! Love it! You are a great mom, and you make cards so beautiful. You have such a great family. upload to my contest page, follow and comment each day for extra entries.